So the trigger was pulled and I had the Difficult Conversation with the Difficult New Starter. As expected he wasn’t expecting it, but there is really no easy way to do these things and it went probably as well as such things can. Afterward I had lunch with this former employee who let me know that he’d been on the receiving end of a similar Difficult Conversation at his new job yesterday. I hope this is not contagious. 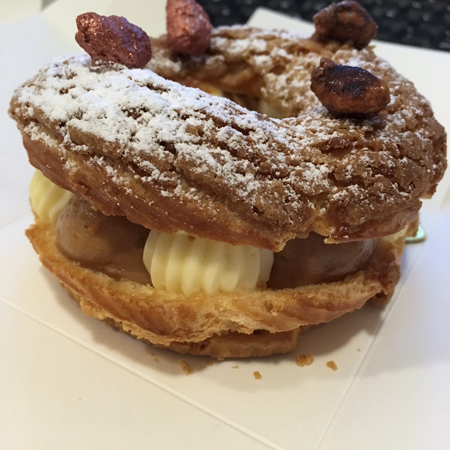 After work I bought myself a paris brest as a reward for being a Brave Manageress. Yes, I’m rewarding myself with food. Yes, this is probably the last thing I should do. I really should have bought clothing or jewellery or perhaps just given myself some positive words.